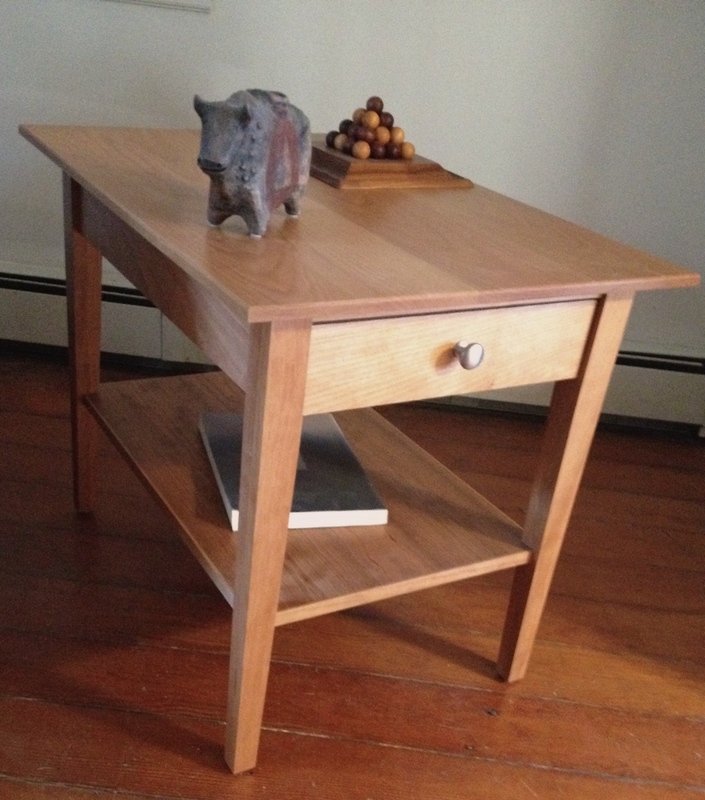 Cherry side table with 18" drawer on handmade, wooden slides. Fixed full shelf. 22" x 30" x 25"h. Hand-rubbed tung oil-and-urethane based varnish.